Montgomery County, TN – The Clarksville-Montgomery County School System (CMCSS) says the CMA Foundation , the national music education nonprofit and the philanthropic arm of the Country Music Association, will host its fourth annual Music Teachers of Excellence Awards on April 30th, 2019. The invite-only event will honor 30 music educators from across the country for their dedication and commitment to music education in their classroom and throughout their school community. The CMA Foundation created the Music Teachers of Excellence program in 2016 in an effort to recognize the best and brightest music teachers from Nashville and beyond. Award recipients are selected because of their dedication to bringing a quality music program to their students and the impact they’ve had on their school community through music. 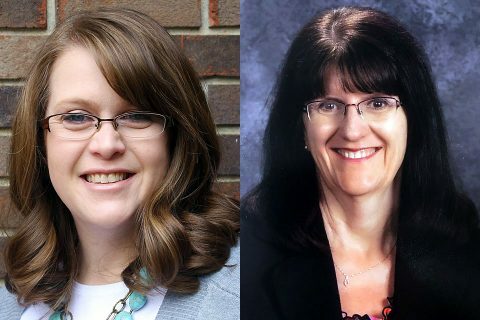 “This is an amazing accolade for these two teachers and an incredible honor for our school system,” said Director of Schools Millard House II. In addition to a night of celebration, each teacher will receive $2,500 to invest in her music classrooms to help drive their program forward and an additional $2,500 as a personal stipend. Established in 2011 as the philanthropic arm of the Country Music Association (CMA), the CMA Foundation  is committed to improving and sustaining music education programs across the United States, working to ensure every child has the opportunity to participate in music education. Through strategic partnerships, professional development and grant distribution, the CMA Foundation, a nonprofit 501(c)(3), has invested more than $25 million across the national public school system, after school programs, summer camps and community outreach organizations. Guided by the generosity of the Country Music community, proceeds from CMA Fest, the four-day long music festival held annually in Nashville, are used to power the CMA Foundation’s social impact and unique model of giving.